Cellular palletwide (CPC) containers are designed to maximise internal capacity while maintaining the external dimensions of standard ISO containers for full compatibility with existing marine and intermodal transportation networks. CS Leasing’s CPC design and construction provide an extra wide and extra long internal size, while allowing a regular loading configuration onboard a standard container vessel with cell guides. 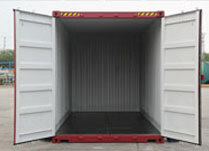 For palletised goods, the design ensures maximum cubic capacity and full occupancy, with two pallets loaded side-by-side across the container width. 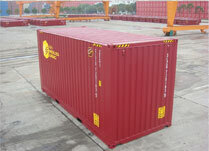 Shippers of non-palletised cargo also gain over 3% more space compared with standard ISO containers. The guide rails and 2.4m wide door opening allows for easier and faster loading and unloading of pallets. CPCs are a full ISO strength container, compatible with all transport modes and can be stowed on all types of container vessels. 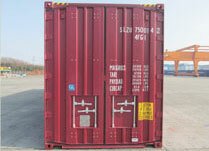 CPCs are available as 20ft Hi Cube, 40ft Hi Cube and, for oversized loads, 40ft x 9ft10in. Full details further down.